Home Tags Articles tagged with "crime"
Peter Dinsmoor, 46, was charged with leaving the scene of an accident after a bicyclist was hit by a vehicle late Sunday afternoon. According to a Maricopa Police Department probable cause statement, Dinsmoor was driving a white pickup in the parking lot of Headquarters Lounge about 5 p.m. He was attempting to exit the parking lot when he collided with a man on a bicycle on John Wayne Parkway and then allegedly left the scene. The man on the bicycle was described as a “Mexican male with a beard.” The man told police the driver looked at him after hitting him and continued down the roadway. A witness at the lounge stated Dinsmoor had two beers while receipts indicated he had purchased four beers. A driving history showed his license was revoked for DUI in Oregon, and Dinsmoor told officers he was on probation for DUI. The bicyclist sustained a bad ankle injury and was limping, according to the report. Dinsmoor consented to a blood alcohol test. Results have not been released. Richard Tow, 54, was accused of possession of a dangerous drug and drug paraphernalia Dec. 6 after officers stopped a vehicle he was driving on North John Wayne Parkway. Maricopa Police officers smelt the odor of marijuana coming from the vehicle and asked Tow if he had a medical marijuana card. He said he did not and admitted to officers he smoked marijuana earlier in the day, according to the MPD probable cause statement. During a search, a black case containing white crystals was located in his pocket by officers. A glass pipe was also located with white residue on it during the search. Tow was taken to the Pinal County Jail as the substance tested positive as methamphetamine. 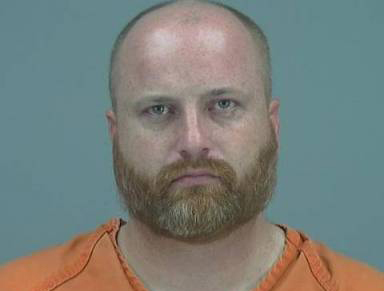 During the service of a routine protection order on Nov. 26, Jason Simpson of West Avella Drive, was found to be in the possession of two potentially prohibited weapons, according to the Maricopa Police Department. The two firearms, a New England shotgun and Remington shotgun, were found to be too short to own. The New England had a 13.5-inch long barrel while state law dictates an 18-inch long barrel is mandatory. The Remington had a total length of just 24 inches with state law requiring a total length of 26 inches. MPD charged Simpson for possession of the firearms. A man reportedly tried to fight two people on Bedford Drive early Sunday morning and was arrested on suspicion of assault and domestic violence. 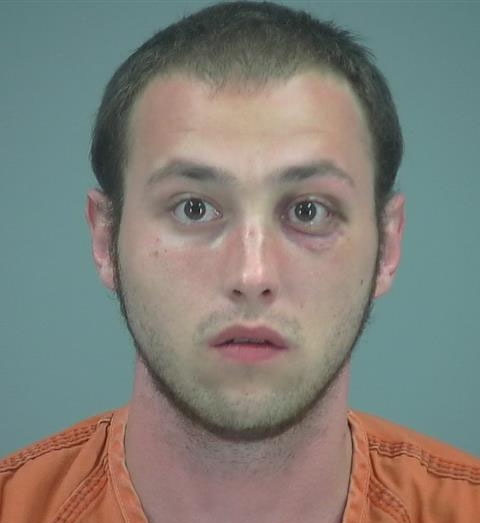 Maricopa Police arrested Mathew Zak after he allegedly pushed his ex-girlfriend and another man and tried to force his way into her house, according to the report. Zak arrived at the house at around 1 a.m., began ringing the doorbell and “tried to gain access,” the allegations state. Another man answered the door and refused to let Zak inside. Zak then allegedly “continuously pushed” the man forcefully in his attempt to enter the house. The other man then grabbed Zak and pulled him off the woman, at which point Zak began shoving him again, the report states. The man allegedly punched Zak in the face “in self-defense.” Police then arrived and placed Zak in custody. 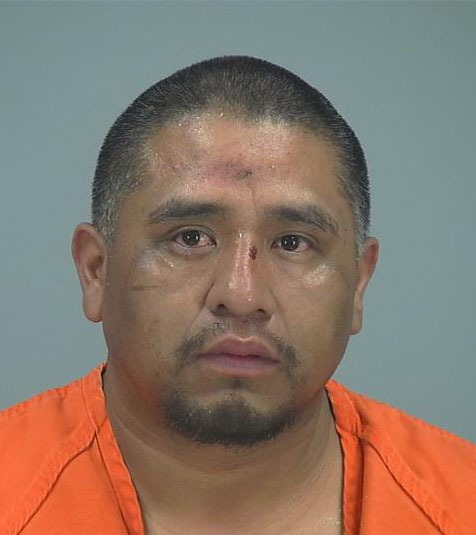 He was booked into the Pinal County jail on recommended charges of assault per domestic violence and assault. Saturday Maricopa Police charged Pedro Zabala with two counts of criminal damage when he was having an overnight stay at a friend’s house. According to police records, officers responded to an address on North Celis Street at 1 a.m. Saturday after the female resident came home and became engaged in an argument with Zabala. Reports indicate he threw clothing items on the front patio and was then locked outside by the resident. She found her washer overloaded with clothing and bleach. She said the clothing was hers and was taken out of her closet. She told officers that about $3,000 of her clothes were ruined in the incident. At 7:40 a.m. Saturday she heard banging on her front porch and contacted police. Zabala was located walking south of her home by a neighbor. Officers located him and also found the windshield of the woman’s car smashed in three places, the driver’s door mirror was broken off, air was let out of a tire, the rear window was smashed and there were five dents in the driver’s door. Zabala allegedly was carrying a yellow baseball bat when stopped by officers. Estimated damage to the vehicle is $2,000. 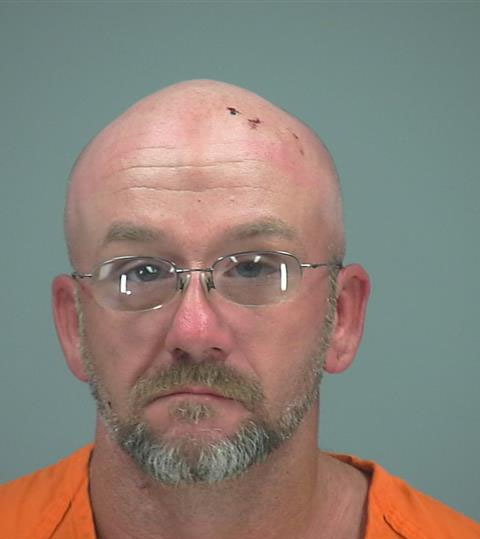 John D. Forker was charged by Maricopa Police Friday evening with criminal damage, domestic violence assault, endangerment and disorderly conduct after allegedly pushing and hitting his girlfriend’s son at a residence on West Walker Way. According to police records, Forker is accused of pushing his girlfriend’s son into furniture and then repeatedly punching him in the face. According to records, Forker is said to have pushed him while the man was holding a 1-year-old girl. A lamp was also broken in the altercation, according to police reports. He told officers his wife wanted to gather her personal belongings and leave with their two children. A second reporting party told officers she was also outside screaming and banging on the front door of the residence. A police probable cause statement alleged Yenis then took a small television set and slammed it into the driver’s side window and door of a parked van. She was also seen slamming the television into the hood of the vehicle, according to the report. Yenis allegedly told officers she did grab the television and threw it against her husband’s van. Yenis was placed into custody and transported to the Pinal County Jail. Bo Runge, a Shell station clerk, was at work on the night of Oct. 13 when a man attempted to rob him, he told police. He said the man had his hands in his pocket and was, “trying to act like he had a weapon.” When the suspect attempted to go behind the counter, Runge grabbed a baseball bat. The suspect then fled on foot without obtaining money or merchandise. Runge said the man claimed to have robbed the store before, which is at 19680 N. John Wayne Parkway. Maricopa Police took a still picture from the store’s video footage, which they circulated throughout the department. Officers identified the suspect as Brandon Osife, who was convicted of robbing the same store in an incident that occurred last year on Oct. 23. Osife was arrested on suspicion of attempted robbery a short distance from the store at 12:29 a.m. on Oct. 14. 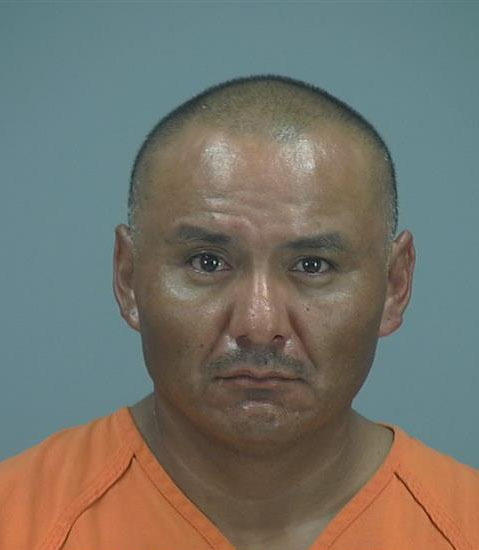 He is in Pinal County Jail on a $10,000 bond. Adam C. Fox was arrested by Maricopa Police Department on suspicion of assault and criminal damage on the evening of Oct. 9 at 7:24 p.m. Both offenses are said to have occurred on Oct. 8 between the hours of 9 a.m. and 3 p.m. The report alleges Fox became upset during a verbal argument with a woman and grabbed her by the throat. The reported victim said she didn’t feel safe leaving the residence on West Dutchman Drive until after Fox left the next day. A Maricopa woman was loading groceries into her SUV in the parking lot of the Walmart Supercenter, 41650 W Maricopa-Casa Grande Hwy Oct. 9 evening when a man approached her, demanding the keys to her vehicle before pulling a knife. Her Jeep Cherokee Sport was already running with the keys in the ignition. When the man seemed to realize this, he “shoved [her] away from the vehicle and got into the driver’s seat,” according to a police report. She sustained lacerations and bruising on her legs, arms, hands and face. The man reversed out of the parking spot, striking the woman’s grocery cart, which became lodged under the vehicle. Despite this, he successfully fled the scene. The woman’s purse and cellphone were in the vehicle when it was stolen. Police were able to track the phone, locating the vehicle on North Canton Way north of State Route 84 in Stanfield. Rickey L. Alderidge was found in the vehicle and was placed under arrest at 11:22 p.m. The victim was brought to the scene and identified Alderidge as the man who pulled the knife earlier. A knife matching the description given by the victim was found on him. Once at the Maricopa Police Station, Alderidge said he was recently released from a prison in Texas and was homeless. When told he had been identified by the victim, he requested a lawyer and no further questions were asked by police. Alderidge faces charges of aggravated assault, armed robbery, theft of means of transportation and criminal damage. 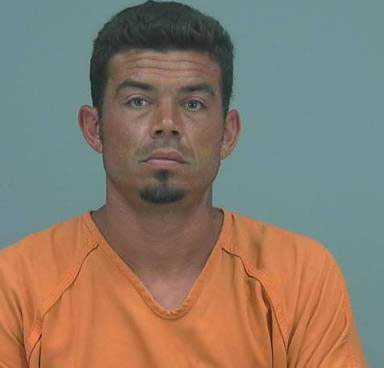 He is in Pinal County jail on a $25,000 bond. A welfare check on a parked and running car in the early-morning hours led to a drug arrest Wednesday. According to Maricopa Police Department records, a white car was parked on the dirt shoulder of Smith-Enke Road east of DR Horton Drive just before 4 a.m. The vehicle was running with its headlights on. The man in the driver’s seat identified himself as Randy Attson, 41. The officer reported seeing a pint glass in the car’s cup holder containing liquid that looked like beer. Attson allegedly admitted the pint glass was from a bar he visited earlier. The officer also observed a blow torch at Attson’s feet, indicating the implement is sometimes associated with illegal drug use. When the officer asked if there was a methamphetamine pipe in the car, Attson allegedly said it was between the driver’s seat and the center console. A search reportedly turned up three glass pipes and about 2.5 grams of meth. A warrant check also revealed Attson’s driving privilege was suspended and he had an extraditable warrant out of West Mesa Justice Court for a traffic offense with a $1,300 bond. 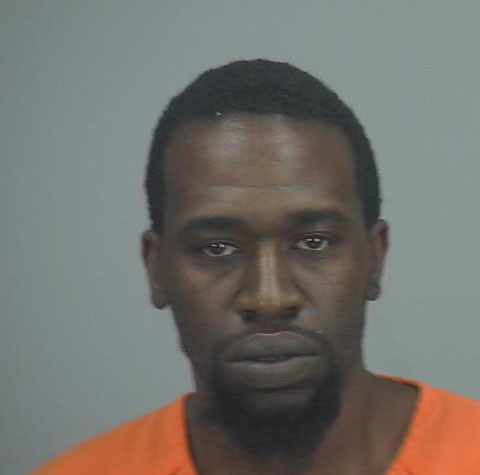 Attson was booked at Pinal County jail, where he remains in custody. Recommended charges are possession of dangerous drugs, possession of drug paraphernalia and driving with a suspended license. Darien Alexa Dawn Huggins, 16, was reportedly last seen in Maricopa Sept. 15. She is reported to be with Amran Mohammad Dawlatzai, 24. UPDATE: Darien Huggins is back home. Pinal County Sheriff’s Office is looking for a Maricopa teenager who has not been seen since last night. Darien Alexa Dawn Huggins, 16, is thought to be with 24-year-old Amran Mohammad Dawlatzai, who may be in the East Valley. Huggins is described as 5-foot-4, 140 pounds, with brown hair and hazel eyes. She was last seen at her home in Maricopa wearing a gray shirt and shorts, and her hair was in a ponytail. Dawlatzai is described as 6-foot-0, 250 pounds, with brown hair and brown eyes. He is driving a 1999 champagne-colored Ford F150 with Arizona plate CJN 9567. If you have information, call 520-866-5111. Maricopa Police arrested a man suspected of driving under the influence while transporting precious cargo last week. Timothy Campbell, 38, is accused of carrying with him four children during a traffic stop Aug. 26 when he was tagged with seven varying counts of aggravated DUI and endangerment. MPD arrested Campbell at approximately 3:55 p.m. at the Good 2 Go gas station at John Wayne Parkway and Honeycutt Road. A police report alleges prior to the arrest, one of the young passengers sparked the interest of an officer operating a patrol vehicle southbound on John Wayne Parkway. “I observed a small juvenile female sitting on top of a person’s lap in the front passenger seat, (the child) then attempted to duck their head in a red Ford F-150 (truck),” according to the report. The officer activated his emergency lights and pulled the vehicle over at the gas station. The ages of the four children observed inside the truck were withheld in the report, but all were reportedly under 15 years old. Campbell allegedly told the officer he was driving on a suspended license and reportedly admitted to consuming intoxicating beverages. Police dispatch informed the officer Campbell is also required to drive with an ignition interlock device, but there was no device in the vehicle, according to the report. MPD transported the DUI suspect to its headquarters where Campbell completed a second breathalyzer test with results showing a blood alcohol content of .162, more than twice the legal limit. Officers forwarded seven counts against Campbell to the Pinal County Attorney’s Office: Aggravated DUI: Driving with a suspended driver license (class 4 felony); Aggravated DUI: Driving without an ignition interlock device (class 4 felony); DUI with four children inside the vehicle under the age of 15 (class 6 felonies); Aggravated DUI impaired to the slightest degree (class 1 misdemeanor); Aggravated DUI .08 BAC or above (class 1 misdemeanor); Aggravated DUI: .15 BAC or above (class 1 misdemeanor); Endangerment (class 1 misdemeanor). 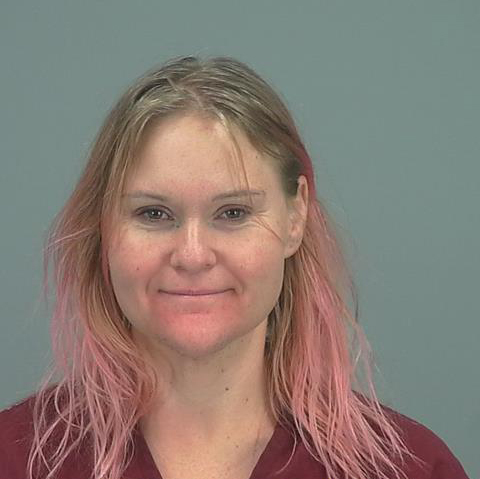 A California contractor and her husband were arrested in Maricopa this month and now face at least 79 charges, including 33 felonies. Constance Ruth Gabriel, 51, and William Ernest Gabriel, 65, were taken into custody Aug. 9 by Pinal County Sheriff’s Office on fugitive warrants after an investigation by the Contractors State License Board in Santa Clara County. They are charged with grand theft and elder abuse, among other accusations. Their bail was set at more than $580,000. The Gabriels were returned to California today and are due to be arraigned Friday in San Jose. The Gabriels are accused of stealing more than $855,000 from at least 33 victimes in a scheme to construct sunrooms. According th CSLB, in many cases they collected illegally large down payments and then either never did any work or did very little work before abandoning the jobs. They operated Sunrooms America, Inc., Sunrooms America Direct and Gabriel Construction Company. Earlier this year, CSLB revoked the three company licenses. Charges include aggravated white collar enhancements because the two allegedly took more than $500,000 from victims and damaged or destroyed property with a value exceeding $200,000. A man called law enforcement last week after his wife discovered a woman attempting to break into their home. Diana Edwards, 32, is suspected of aggravated assault on a police officer, resisting arrest, possession of dangerous drugs and paraphernalia and second-degree burglary. The woman was also wanted on two felony warrants at the time of her arrest. The incident allegedly occurred Aug. 12 at approximately 11:11 a.m. at a residence on Cielo Lane in Maricopa, according to a Maricopa Police Department report. Edwards is reportedly the ex-girlfriend of the man living in the home. According to the report, the man’s wife observed an unknown woman banging on the front door of the residence and attempting to gain access inside. The wife alerted her husband to the situation, and he “ran upstairs and retrieved a pistol in order to defend his wife and himself,” the man reportedly told MPD. By the time the husband returned to the front door, the police report alleges Edwards had ran to the back of the residence and entered the home through an unlocked patio door. After a verbal confrontation between the man and Edwards, she reportedly exited the home and jumped into the yard next door. Upon police arrival, Edwards allegedly began resisting arrest by attempting to pull away from officers, according to the report. Edwards is also accused in the report of kicking officers and attempting to bite a lieutenant three times while being secured in the back seat of a patrol vehicle. MPD reportedly discovered a syringe of clear liquid that was later identified as amphetamine. Edwards was transported to the hospital for having difficulty breathing “and it was discovered she had taken close to 100 various types of benzodiazepine pills,” the report alleges. The suspect was transported to the Pinal County Jail after being medically cleared. Edwards was reportedly wanted on two felony warrants before her arrest Aug. 12, according to court documents. The first, from an incident in October 2016, was four counts relating to forgery. The second warrant included charges of unlawful flight from pursuing a police officer and drug possession/use from January 2018. A $5,000 bond is assigned to each of those warrants. Edwards is also being held on an additional $10,000 bond for the aggravated assault on the peace officer charge. Edwards is facing multiple felony charges including, burglary in the second degree (Class 3 felony); possession of drug paraphernalia (Class 6 felony); Resisting arrest (Class 6 felony); and aggravated assault against a peace officer (Class 6 felony). A class 1 misdemeanor was included in Edwards’ host of charges for allegedly driving on a suspended license in 2012, according to court documents. 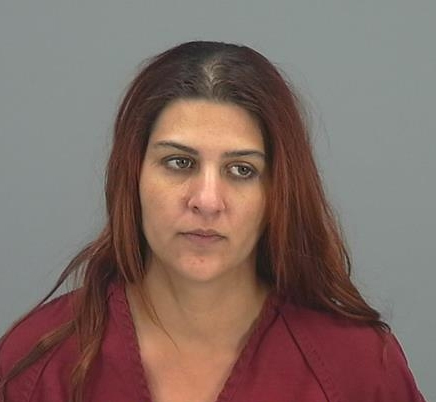 A Maricopa woman is accused of stabbing her husband with a kitchen knife in front of their two children in the Meadows last weekend. 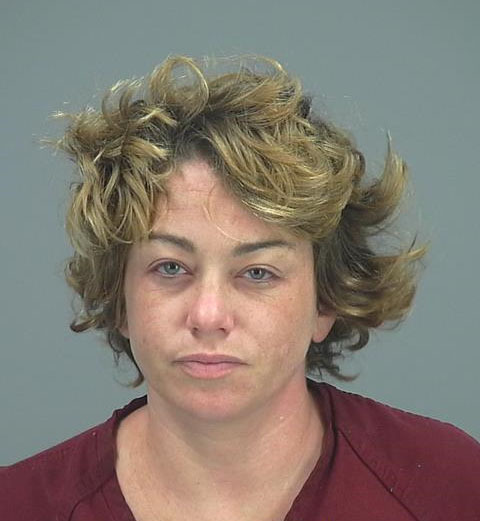 The Maricopa Police Department arrested Leslee Martin, 40, at a residence on Belle Avenue July 28. She faces charges of aggravated assault, two counts of endangerment and two counts of disorderly conduct. The incident reportedly began as a verbal argument between Martin and her husband at approximately 8:26 p.m.
“(The husband) was talking to a subject through text messages who his wife was planning on moving in with,” an MPD report alleged. The subject later blocked Martin’s cell phone contact. The report alleges Martin became angry and began yelling at her husband. Martin’s husband then attempted to leave the home with the children. As he exited the front door, the report states Martin’s husband set the children down next to him. “(Martin) came running at (the victim) with a kitchen knife in her right hand and stabbed (the victim) in the left shoulder while slamming the door shut,” according to the report. Martin’s husband was left with a three-quarters of an inch-wide stab wound to his shoulder. The report states he and the children then ran across the street. Martin was arrested and transported to the Pinal County Jail, where she remains on a $10,000 secured bond. She’ll be in court Aug. 7 for a bond hearing. In 2011, Martin pleaded no contest to a disorderly conduct charge in Maricopa County Superior Court. Residents left their Homestead neighborhood early Friday morning to discover numerous agents from the Federal Bureau of Investigation swarming a nearby home. The investigation at a residence on Mac Neil Street July 27 was linked to the arrest of an armed robbery suspect the same day, the FBI confirmed Tuesday. 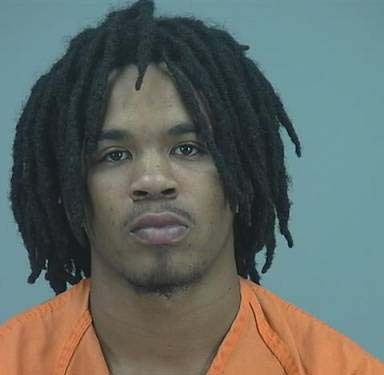 Aaron Vasquez, 23, was arrested in connection with an armed robbery of a fast food restaurant on Alma School Road in Chandler on May 28. A series of ongoing armed robberies in May across the valley caught the FBI’s attention and led the agency to believe Vasquez was engaged in “at least 15 armed robberies of various fast food restaurants between September 13, 2017 and July 19, 2018,” according to an FBI press release published Tuesday. 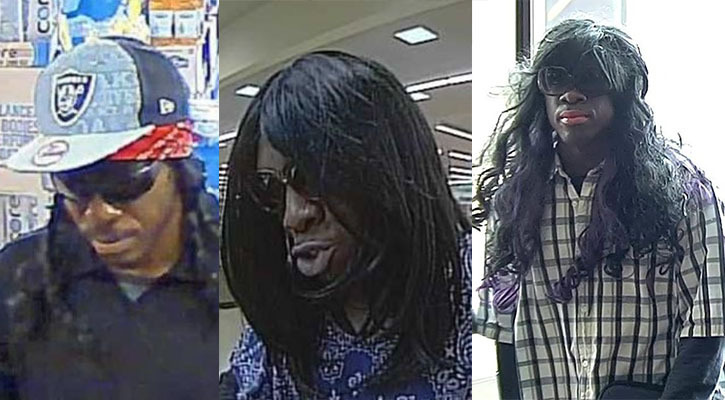 The alleged robberies took place in Mesa, Chandler, Gilbert and Tempe. Details in the press release allege search warrants executed by the FBI and partner law enforcement agencies last Friday recovered items and clothing similar to items used in various robberies. “In each robbery, the individual utilized a similar handgun and was described with similar physical characteristics,” the release stated. The FBI charged Vasquez in a complaint filed in federal court that formally accuses him of the Chandler armed robbery in May but reported possible additional charges may follow in connection to the others. The Chandler, Mesa, Gilbert and Tempe police departments contributed resources to the investigation, according to the FBI Violent Crimes Task Force. “This is another example of Arizona law enforcement agencies working together to protect our communities from violent crime,” said Michael DeLeon, special agent in charge of the FBI Phoenix Field Office. The Maricopa Police Department said Friday the FBI notified the department of their presence at the address in Homestead. MPD was not on scene July 27, according to MPD Sgt. Hal Koozer. 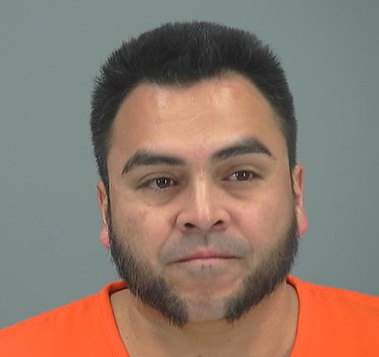 Vasquez has a previous weapons misconduct conviction out of Maricopa County Superior Court in 2014.